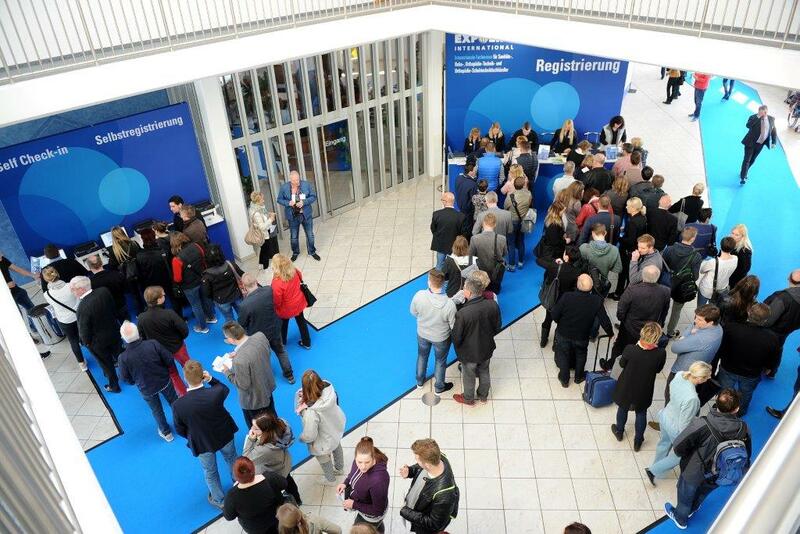 SEven in advance of this year’s EXPOLIFE INTERNATIONAL, it was clear that the interest shown by the industry in exhibiting the goods and services at Kassel Exhibition Centre was continuing to rise. Ultimately more than 230 leading manufacturers, suppliers and service providers in the industry filled the exhibition space which had once again been extended. 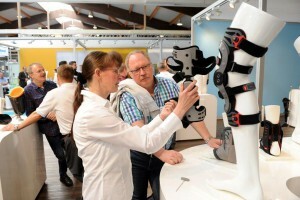 German and foreign companies showed off their latest product, care and service developments in five double halls with a total area of 17,500 m². The event once again demonstrated its position as the leading trade fair for this industry with 8017 trade visitors taking the opportunity to gain extensive information about market innovations over the three days of the trade fair, and also attending the wide-ranging supporting events and the otherwise fairly rare opportunity to exchange views with colleagues and exhibitors on a face-to-face basis. What makes the event equally attractive for both visitors and exhibitors is its unique depth of range which combines all areas of the health industry under a single roof. The wider range of visitors this attracts also benefits the exhibiting companies. Above all, the high proportion of decision-makers from the trade is a very positive feature, particularly in view of business conducted after the trade fair, thus once again confirming for the organisers that the concept of their event is absolutely correct. Since its very beginnings, the EXPOLIFE INTERNATIONAL has made its name as a networking platform. Exchanging views and maintaining contacts in face-to-face talks is major aspect of visiting the trade fair for many people – and is also profitable for exhibitors. The newcomers among them, in particular, were given an extra chance this year for the first time to establish themselves on the market with start-ups being given an opportunity to present their goods and services, make contacts and thus get their “foot in the door” using a specially tailored all-in trade fair package in the newly created “newcomers area”. The conclusion after the premiere of this package was that it presented a win-win situation for everybody. Popular with visitors, the new area created an additional innovative focal point for the entire event. First-hand expertise was offered this year at 40 seminars covering a wide range of current topics from the health industry. Practical applications of products and regulations, financial management but also political aspects related to the industry attracted a great deal of interest from visitors. Above all, Dr. Roy Kühne, who is a member of the Bundestag, held his audience rapt with his presentation on the intended effect of the new law on health and medical devices, and also provided an outlook of health policy developments over the next legislation period. One of this year’s most popular new features was the exhibition of work by the “Group Smirage” studio community. 26 artists from Munich, who work in the workshop for physically handicapped people run by the Pfennigparade Foundation, were invited to exhibit their work on the topic of mobility at the EXPOLIFE and created several moving and impressive exhibition areas, and all for a good cause. Many of the pictures changed hands and the proceeds went in full to the artists’ group. There was also the chance for visitors to win a prize. They were asked to vote for the best picture and at the end of the event it was raffled among everybody who took part. 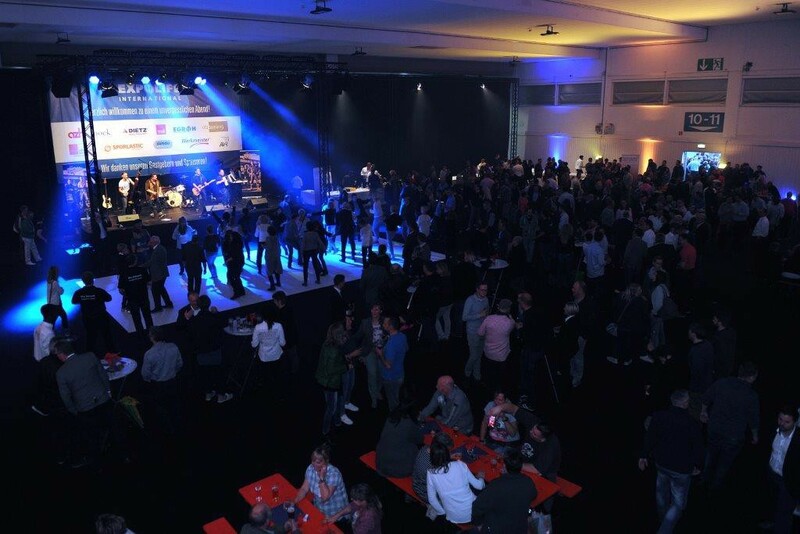 Without the trade fair party it would not be a proper EXPOLIFE INTERNATIONAL. And so, once again this year the organisers and sponsors invited all visitors and exhibitors to celebrate with them. On the second day of the event, Hall 3 was declared a party zone after 5 pm. The buffet featured regional specialities which were supplemented by refreshing drinks whilst two bands provided musical entertainment for the party guests. The Honky Tonks and the BOPTOWNCATS kept the party bopping and lively until late into the evening. Perfectly arranged by Azh, Hermann Bock, Dietz, EGROH, Medi, Ofa Bamberg, Schein Orthopädie, Sporlastic, Sundo Homecare, Werkmeister and AVR, who worked together superbly to organise the whole thing. The EXPOLIFE NewsAward is also inextricably linked with this international trade fair. The candidates for the much coveted innovation prize once again occupied the special innovation area and sought the approval of visitors, which they gave using their voting slips, but this year there was a new feature as the three best of the year had not yet been selected by the end of the event. For the first time, visitors can also vote online until 9 May 2017 at www.expolife.de.